Front porch sitting! 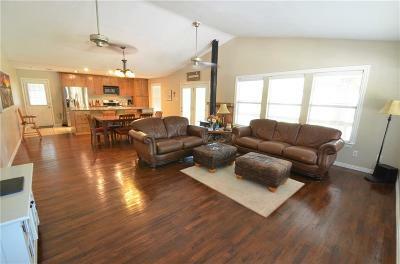 Enjoy this Farm House style home with wrap around porch to look out over almost 2 acres! Large open living, kit & dining area for family get togethers. Great size bedrooms with each having walk in closets and hardwood floors throughout add a warm touch! Large shop with two overhead doors and extra concrete slab in front to add on garage or possibly guest quarters. Plenty of land to have an animal or two...endless options with this home just outside of the Canton city limits.